Are you tired of your current career? Are you looking for that ideal business opportunity that requires a low investment, yet returns a very healthy profit? If you have answered yes to the above, we may have the ideal solution for you! 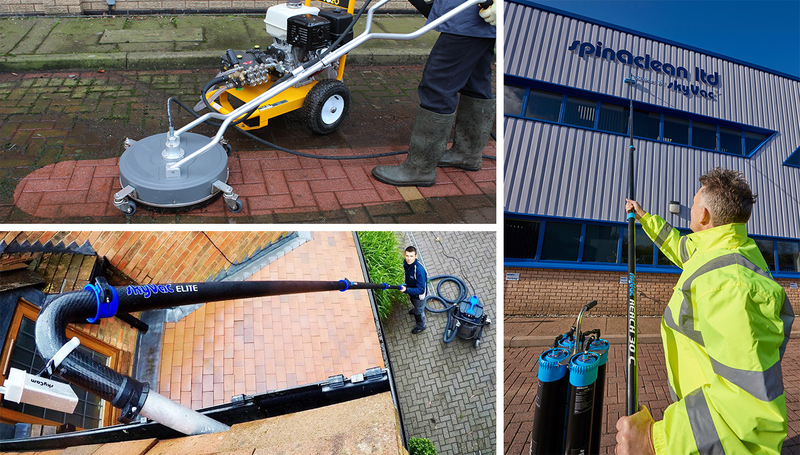 Consider opening a business in your local area, offering an all-round external cleaning service including but not limited to; Gutter Clearing, Paving Cleaning, Fascia/UPVC and Conservatory Cleaning. 1) Market Research – Next time you are out and about, just have a look at all the dirty driveways, grubby fascia’s/UPVC and blocked gutters there are you may be very surprised. The good news is whatever you clean gets dirty again and will soon need a re-clean. With satisfied customers under your belt, they with have you back time and time again. 2) Check Your Skill Set – If you enjoy meeting and helping people out, while being out and about in the fresh air and have a practical mind to accomplish tasks - these are the ideal qualities you will need to succeed. 3) Get the Right Equipment – There is no substitute for having the right tools for the job. With the correct equipment, all your jobs will be completed with maximum efficiency and satisfy your customers every time. The good news is, operating the equipment required for this type of business is “EASY”. 4) Register Your Business – With the inland revenue as a sole trader, get some public liability insurance and open a business bank account. 5) Market & Promote – With your business set and equipment purchased, it is time to proudly tell everybody what you can do for them. With the internet being such a powerful means of spreading the word to the masses, the phone should soon be buzzing. Get yourself a web site with lots of vibrant images, supported by catchy video content. This combined with a social media presence (Facebook, Twitter, Instagram etc), will give the appearance of a more solidified business and offer more opportunity for you to reach out to and be contacted by potential customers.